The professional's choice for extra safety. For heavy duty use or for use as an alternative to a Bench. 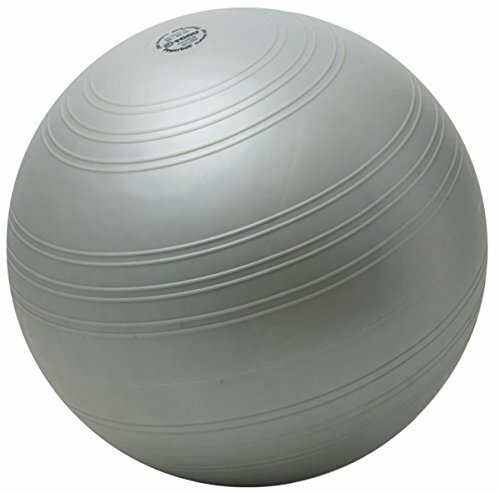 One size ball keeps its shape and remains bouncy. The ABS (Anti-Burst system) provides an added level of puncture-resistant safety. ABS weight limit is substantially less than the ball's weight capacity. The total weight capacity of this item is 4400 lbs., while the ABS capacity is 1100 lbs. This product comes in retail packaging. 55-65 cm (22-26 in).